There's a frigid chill blowing through an ice cave on Hoth, where a one-armed wampa is fruitlessly trying to cut a snowflake pattern of a one-armed wampa from Hoth. 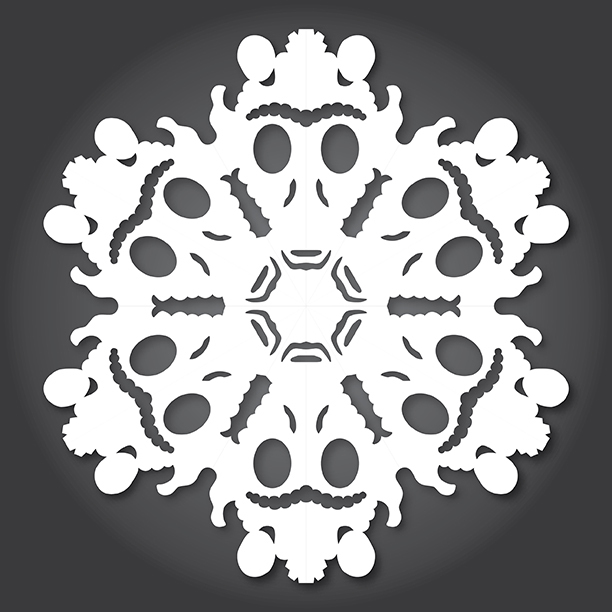 For four years now I've been designing Star Wars themed snowflakes for everyone to download, cut, clip, unfold, bandage bloody fingers, and display proudly for the holidays. Please enjoy this new set and let's hope those new Star Wars movies get here soon. I'm running out of characters. As always, grab a sharp x-acto knife, a good cutting surface and lots of patience. 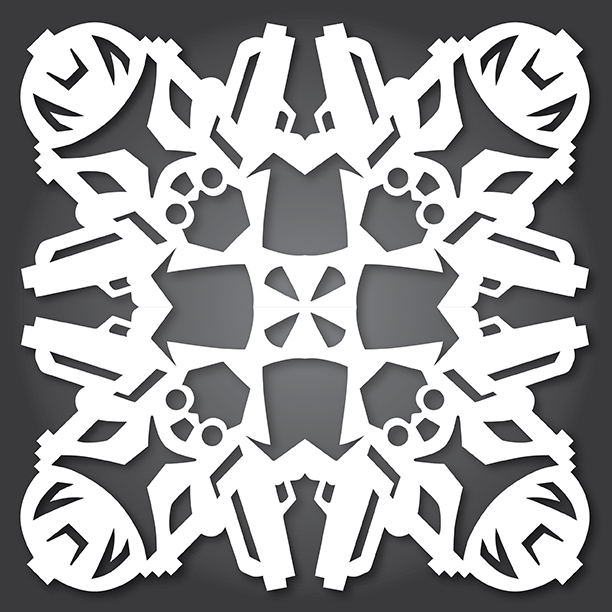 Preview each snowflake design below. Download a pdf template from the list below the images. 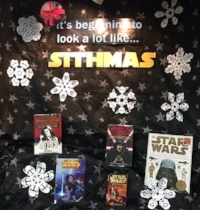 Buy Star Wars Snowflake Window Clings. Decorate your home or office! Click on the name of the character to download the individual snowflake pdf pattern. Or download the entire set as a zip file. Here is a video we made showing how to fold & cut snowflakes. 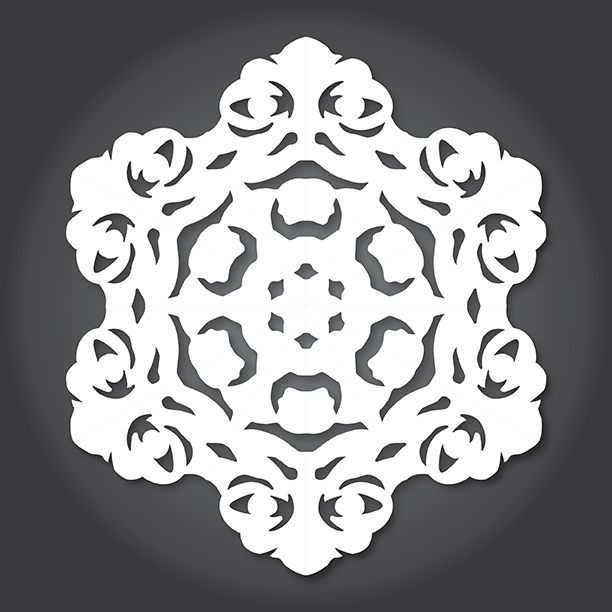 These designs are provided FREE to everyone to use to make themselves snowflakes. You may NOT use any of these designs for resale purposes, including producing other types of products using these designs. Geektastic work from Anthony Herrera; Graphic Designer, Artist, Dad and part time pirate. Click on one of the categories. Buy Star Wars Snowflake window clings from my etsy store. They make great holiday decorations.